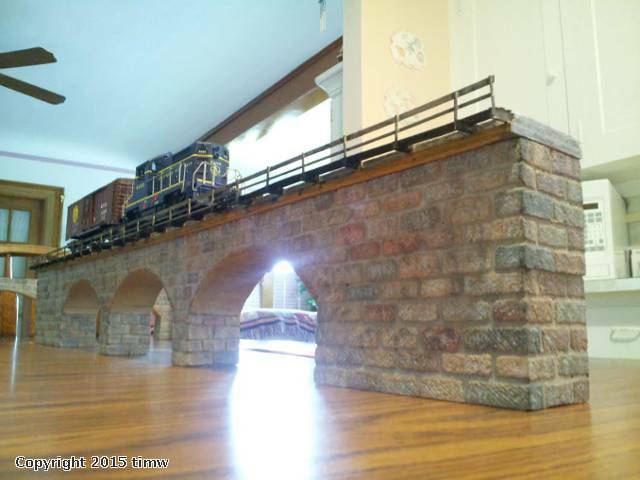 This new bridge will be replacing an existing embankment on a customer's American Flyer layout. 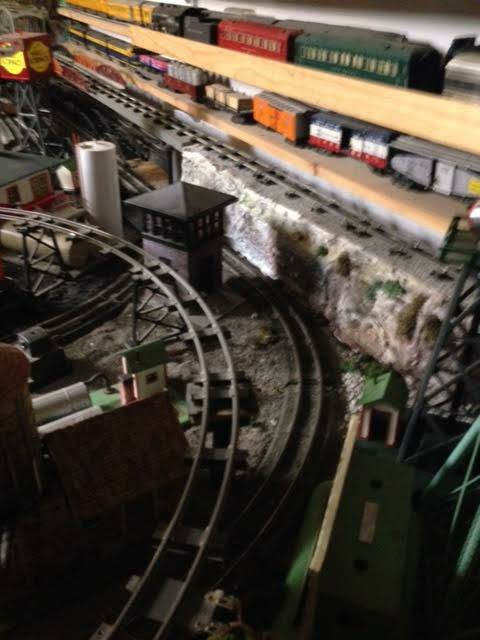 I also made a curved girder bridge to go over a curved track on the lower level. 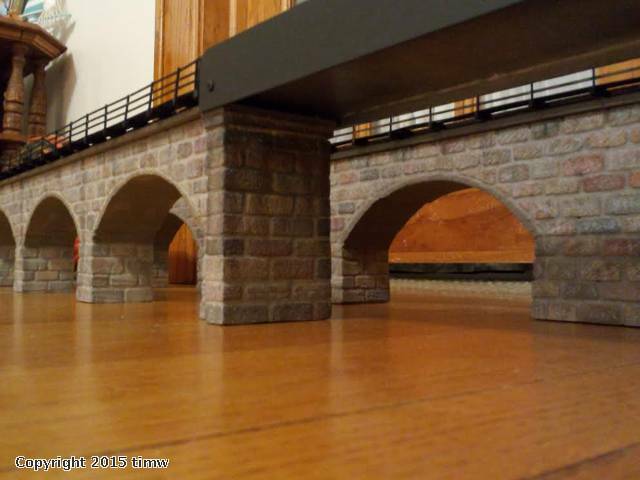 It will replace the lighter colored embankment shown in the photo on the upper level. 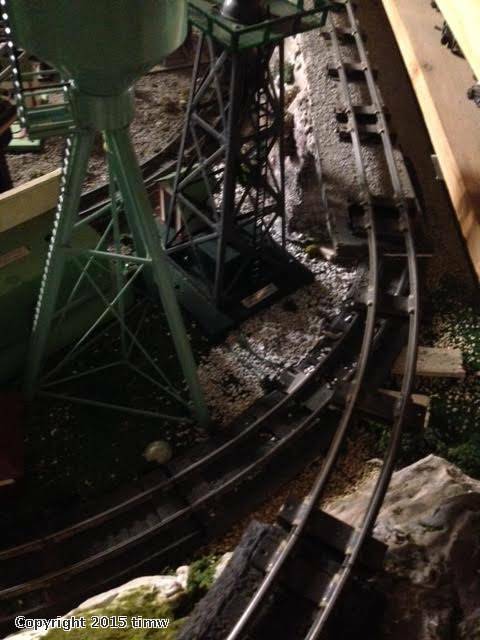 Additionally, I made this customer a matching bridge for a yet to be determined spot on his layout. 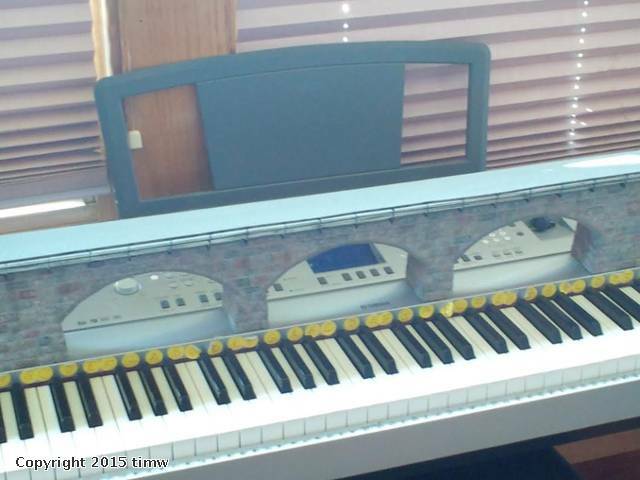 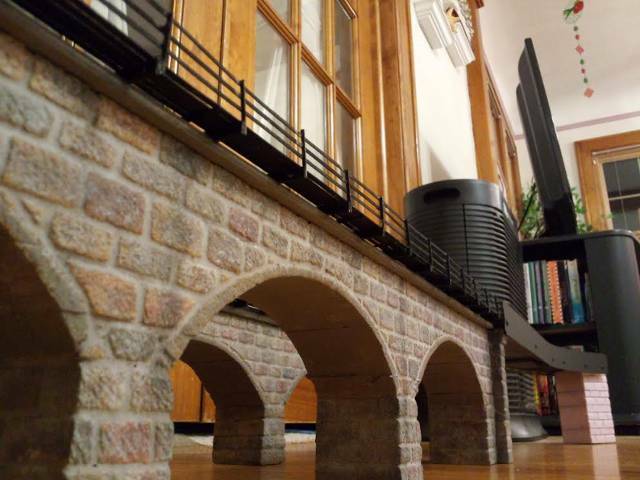 If you will notice, the profile of the stone arch bridges are the same as that of my smaller Rockville Bridge.